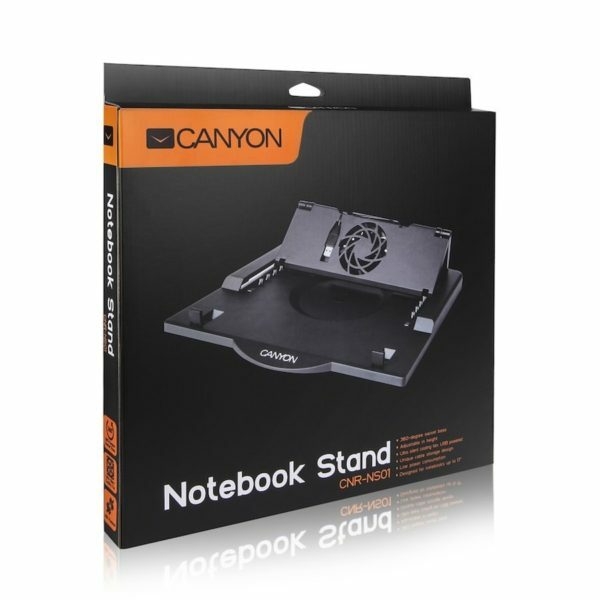 This notebook stand allows positioning your notebook screen at an eye-level with viewing angle close to 0°, which is the position recommended by ergonomics experts to avoid tiredness, neck and back pain. The stand also has a 360° swivel base, so you can effortlessly turn your laptop in any direction for your convenience. The CNR-NS01 includes a USB-powered cooling fan to improve heat dissipation for a maximal performance and system stability. A special compartment allows you to hide away and store the USB cable when not in use. 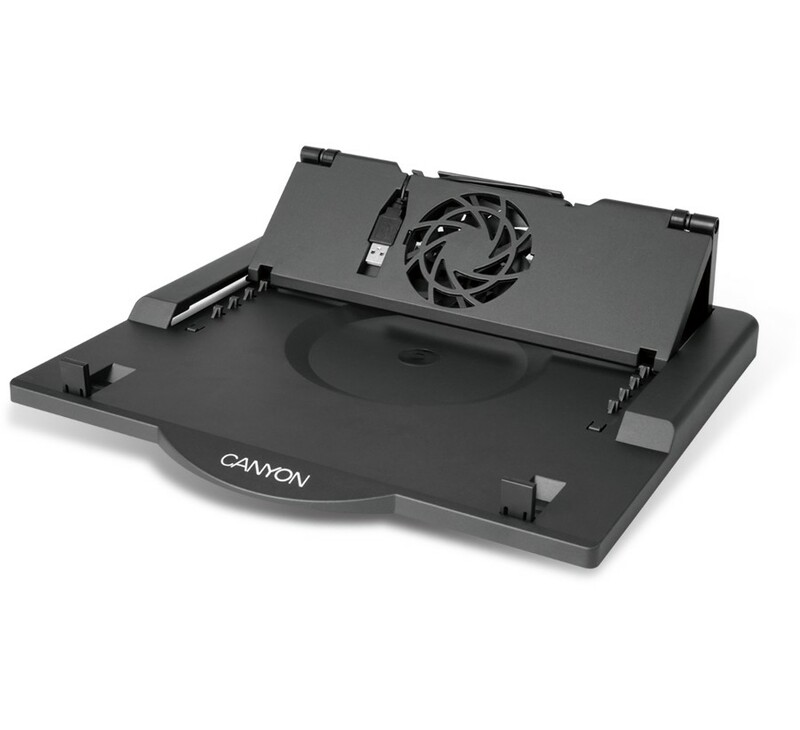 This model is suitable for notebooks up to 17”.